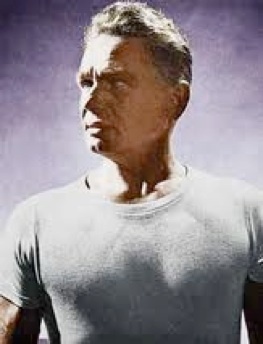 Pilates was developed in the 1920's by fitness pioneer Joseph Pilates. Joe was born in 1880 in Germany. As a child, he suffered from asthma, rickets and rheumatic fever. In a determined effort to overcome his ailments, he studied both Eastern and Western forms of exercise including yoga, weight training and acrobatics as well as Zen meditation and wrestling. By the time he was 14, his efforts had paid off and he was an accomplished athlete and gymnast. He moved to England in 1912 where he became a boxer, circus performer and trained others in self-defense. When World War I broke out, he was interned as an "enemy alien." While in the camp, he taught his fellow prisoners a series of exercises that combined physical fitness with breath control. They emerged stronger and healthier than they had been before internment. This was the beginning of the development of his system of mat exercises. Later Joe became an orderly in a hospital where he saw many people disabled from disease -- completely immobilized. He began using his own body weight to manually move their arms and legs. As the patients began to improve, Joe went even further -- he designed a system of springs attached to old-fashioned hospital beds that allowed bedridden patients to exercise from their beds. The springs provided progressive resistance while still allowing the muscles to heal. This was the inspiration for his unique equipment based on spring resistance. After the war Joe returned to Germany, continuing his physical fitness training programs. By the mid 1920's, the German government had discovered him and insisted he train the New German Army. Instead Joe immigrated to America. His studio for "Body Contrology" caught the attention of the dance community. Dance legends George Ballanchine and Martha Graham, among others, began sending their students to him to repair knees, heal back injuries and save joints. Many of these students became Joe's protégés, learning from him and developing his or her own technique based on Joe's original methods. This dissemination allowed for the tremendous and continuing growth and popularity of the Pilates method of exercise.